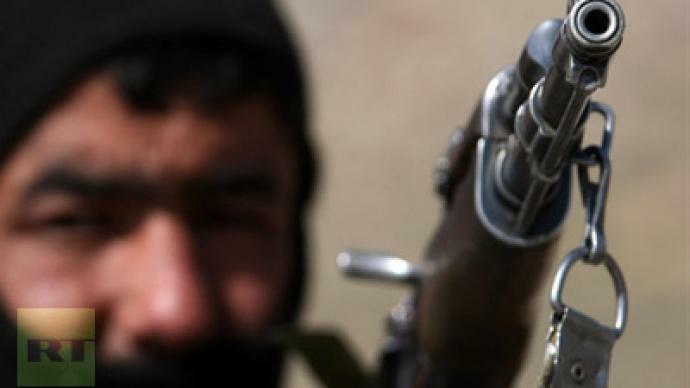 Russia has started shipping small arms to Afghanistan’s police forces. The first of the 16 planned cargo planes loaded with Russian weapons and ammunition landed on Tuesday in the capital Kabul. The Russian Defense Ministry’s Ilyushin Il-76 arrived in the Islamic Republic from Orenburg as part of earlier-reached agreements between the two countries, reports RIA Novosti. The weaponry – which Afghanistan has received free of charge – will be handed over to the country’s police in order to help the legitimate government counter Taliban militants, drug-trafficking and other crimes. "The delivery of small arms donations to Afghanistan will help to strengthen the national police, to strengthen security and the rule of law in this country," Andrey Avetisyan, Russia’s ambassador to Afghanistan, told the news agency. Currently the country’s police use Soviet-era Kalashnikov assault weapons. Earlier, Moscow sold five Mi-17 military helicopters to Poland for their operation in Afghanistan with the first two to be delivered by the end of 2010. But that could be just the beginning, as “NATO wants to buy several dozen Mi-17s”, Russia’s Defense Minister Anatoly Serdyukov said in an interview with Der Spiegel last month. It is also possible that Russia will assist in training Afghan security forces as well as co-operate with the country in countering drug-trafficking. However, Russia is not going to come back to Afghanistan despite all the speculations in the media about the possibility of Moscow getting involved in the military operation. Speaking Monday, Foreign Minister Sergey Lavrov was quite clear in commenting on the matter. “Our troops will not return to Afghanistan,”he said. “This is our firm position,” Lavrov underlined. As for the rumors, the minister called them “provocative”. Vadim Kozyulin, director of the Conventional Arms Program at a Russian think-tank observes that arms shipments to Central Asia are traditionally an area of concern. “We all remember the sad stories of huge amounts of light weapons and small arms lost in Afghanistan and Iraq. I guess there are good chances to prevent the repeating of these sad stories in the future. To achieve that, Russia should ensure that all equipment which is supplied has been properly stored and registered,” Kozyulin told RT.